The Windsor Oak Collection is a range of furniture crafted from solid oak and carefully designed with straight lines to offer a clean and contemporary look. The Windsor 2 drawer bedside is made from 100% solid American oak with an oiled finish. 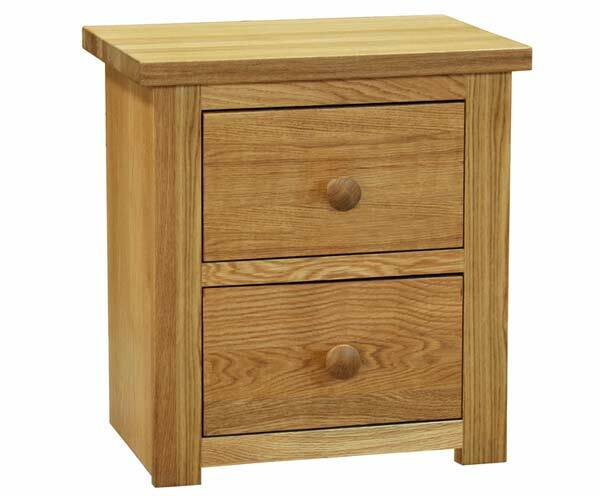 All drawers in the collection are fully dovetailed in construction and have a large oak knob handle.